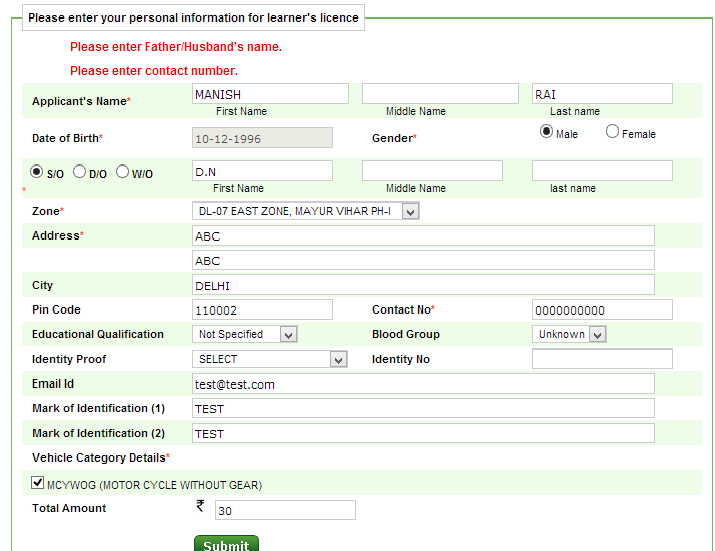 Delhi Government had started the online facility for making driving license process easy. We can select the nearest Zonal Authority and book the appointment according to our convenient time and can make fee payment online. They are providing "Express Service" and "Regular Service" type of appointment. In Express Service it will be processed by today itself and in case of Regular Service we choose days after today. If you don’t have an internet facility you can call to this 9311900800 and fix appointment with nearest zonal authority. You can can make payment on time of visit. 1. Visit the Delhi Transport department website Driving Licence Appointment and Payment System. 2. 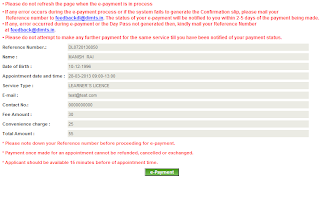 From "Servics" menu click either "Express Service Appointment" or "Regular Service Appointment", After this below page will come. 3. 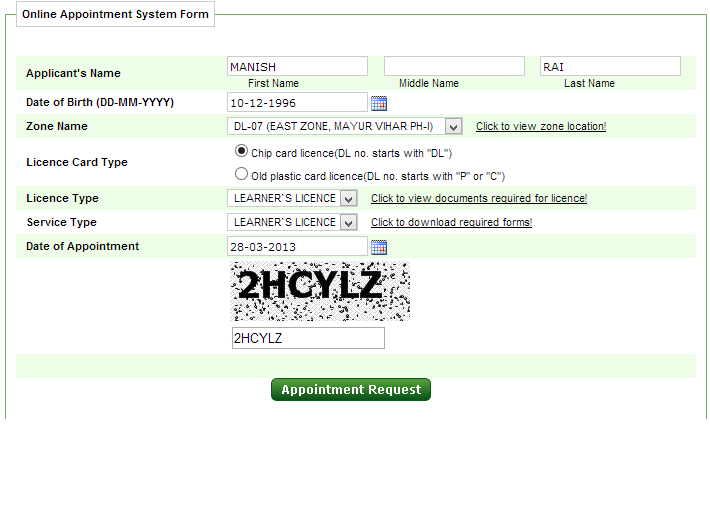 Fill the details and click on "Appointment Request" button. 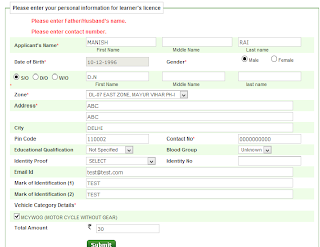 Now new page will come for filling your personal details. 4. Fill the details and click on "Submit" button. Now confirmation page will come. 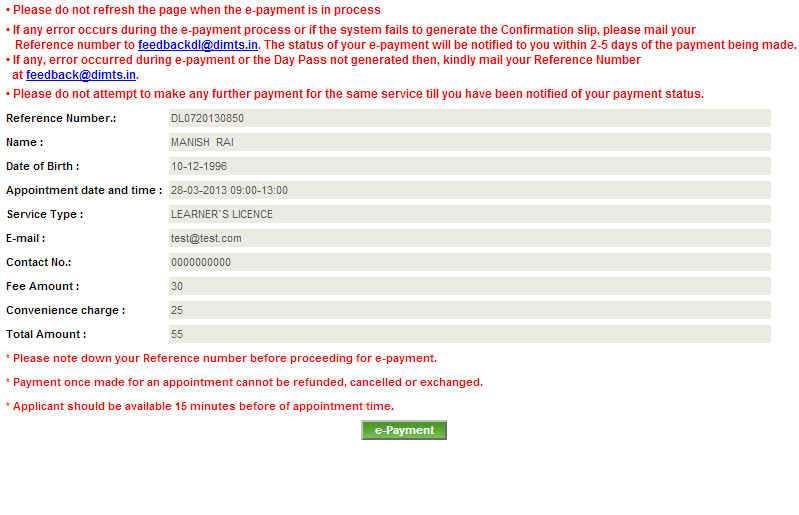 5. Review the filled details and click on "e-Payment". 6. Now you will get a reference number,Take print out of this along with Payment Slip and visit the Zonal Authority according to your date selection and complete the formalities. o You have to reach there before 15 min of appointment for document verification. 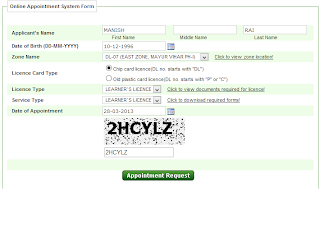 o Currently they have given time slot of 9 am to 11 am, who is coming through appointment. o Currently they are calling five people in every 30 minutes. 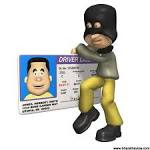 o Carry your attested documents along with the original documents. 1. Three recent passport size photographs. Note:- Please bring the original and a photocopy of the same.